JUST SOLD IN 7 DAYS WITH 5 OFFER for WELL ABOVE LIST PRICE!! This spacious & very well-laid-out 1109 sf south-facing 2BR/2Bath ticks all the boxes for investors & owner-occupants alike! Perfectly situated just steps from Vancouver w/great access to Hwy1, BCIT, Brentwood Mall, rapid transit & more. The unit has been freshly paint throughout and has newer laminate floors & updated lighting, making this home totally move-in ready. Extremely efficient layout w/open kitchen, generous room sizes (easily accommodates oversized furniture), plus a proper separated laundry room w/full-size side-by-side washer/dryer. 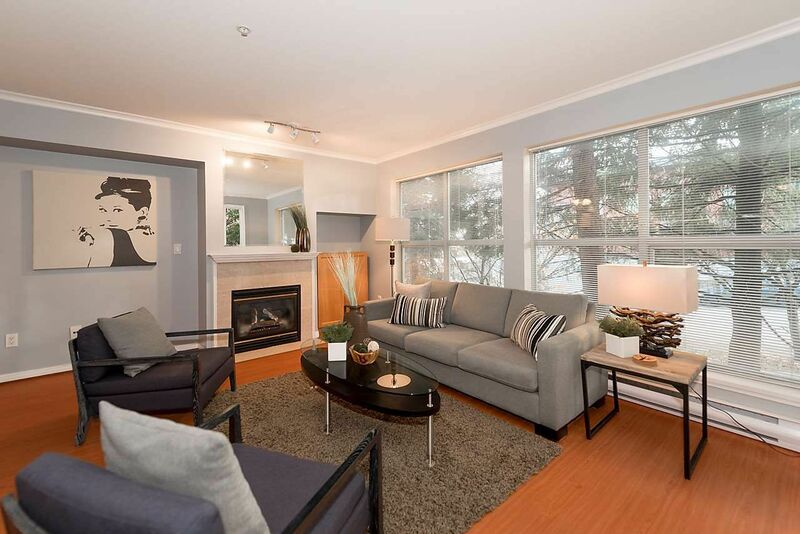 Huge master bdrm (fits king-size bed nicely) w/full ensuite & walk-in closet. BONUS: Cozy gas fireplace, 2 PARKING + locker! Rentals & Pets OK! OPEN SAT NOV 26, 2-4pm & SUN NOV 27, 1-3pm.